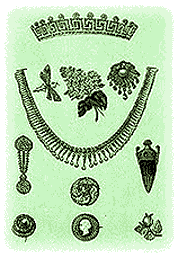 Featured here are colorful illustrations of Victorian jewelry that was highlighted in "The Industrial Arts of the Nineteenth Century - A Series of Illustrations of the Choicest Specimens Produced by Every Nation at the Great Exhibition of Works of Industry." 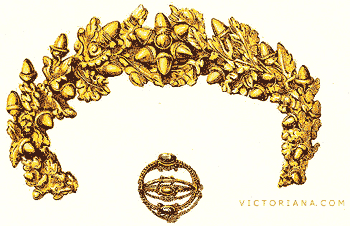 Showcased are ornate 19th century bracelets, lavish necklaces, elaborate hair combs, and Victorian rings made of precious metals set with gems or imitation gems. 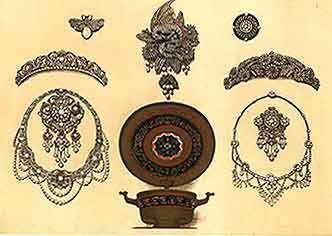 "The Industrial Arts of the Nineteenth Century - A Series of Illustrations of the Choicest Specimens Produced by Every Nation at the Great Exhibition of Works of Industry" was published in 1851 and included many hand colored art prints which are collectible today for interior design. 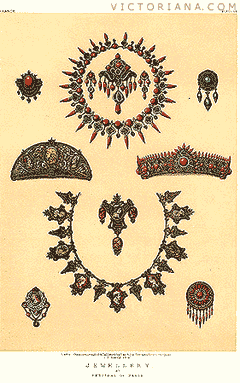 Victorian Jewelry Set 1851: Necklace, earrings and brooch. 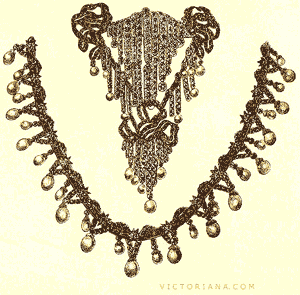 Victorian Jewelry Set 1851: Necklace and earrings. 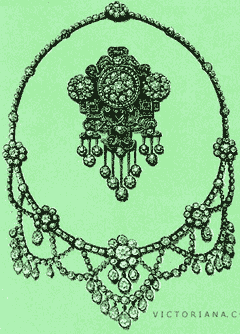 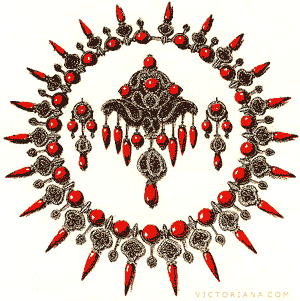 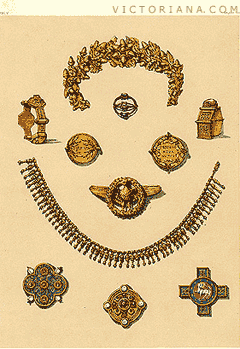 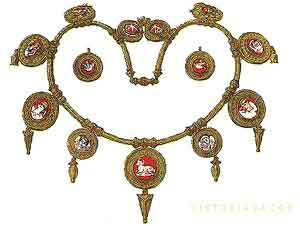 Victorian Jewelry 1851: Necklace and brooch.